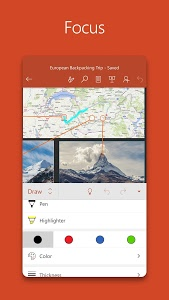 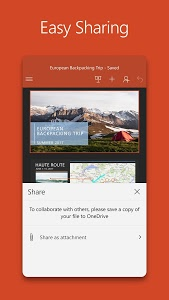 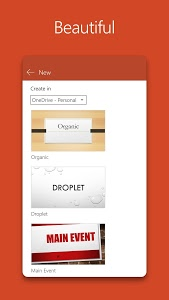 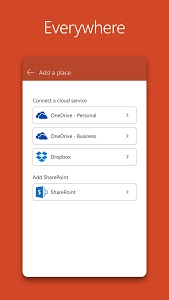 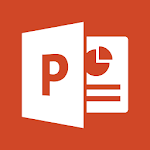 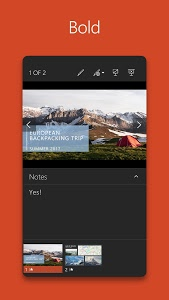 PowerPoint makes it easy for you to collaborate with others. 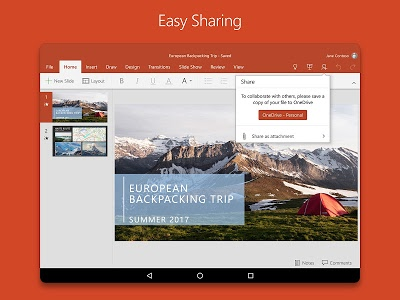 With 1-click sharing, quickly invite others to edit, view, or provide feedback on your slides. 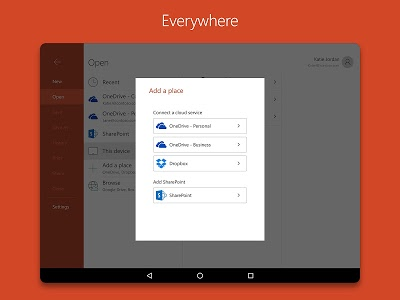 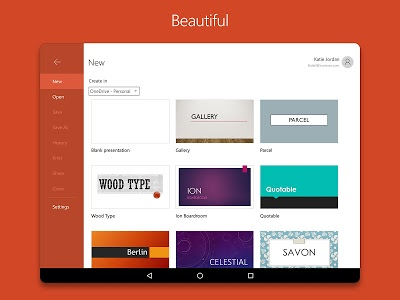 Easily manage permissions and see who�s working in your presentation. 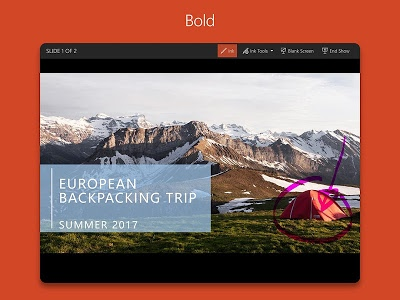 Stay on top of changes and feedback from others with integrated comments within the slides. 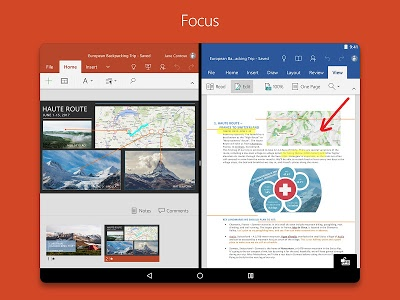 Compare changes to see how your presentation has evolved over time.